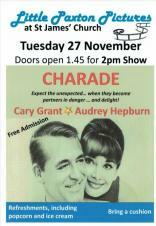 LIttle Paxton Pictures at St James Church Doors open at 1.45pm for 2pm show. Refreshments including popcorn & ice cream. Bring a cushion. 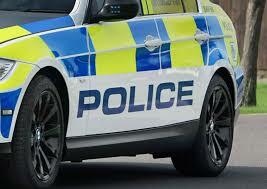 The St. Neots Community Policing Team will be holding a Police Surgery in The Hub, 2 Samuel Jones Crescent, Little Paxton. This is a great opportunity for residents to meet the local Police team and to raise any concerns they may have with officers. The Surgery is organised by Little Paxton Parish Council. 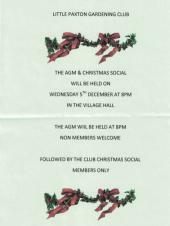 The Annual General Meeting of the Gardening Club at 8pm. 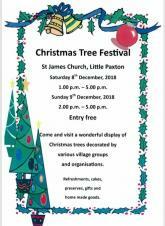 Come along and see stunning Christmas trees decorated by local Village Groups & Organisations from 1pm - 5pm. A great community event for all ages! Come along and see stunning Christmas trees decorated by local Village Groups & Organisations from 2pm - 5pm. 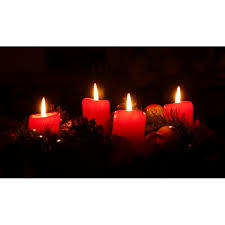 Come and join us in singing a variety of traditional carols in a lovely candlelit setting. 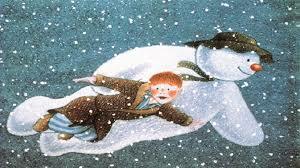 Come and join is in celebrating Christmas with crafts, songs and a film all with a Snowman theme. Preschool children to be accompanied by parent/carer. Holy Communion Services for all ages. 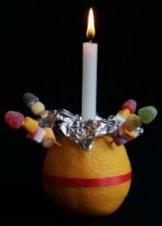 Christingle Service - all ages welcome. HTML5 validated. WCAG compliant. Page generated in 0.0694 seconds.